Made in the USA from North American Hardwoods, sanded, ready to stain or paint. Use column caps to make square columns even more structurally sound. 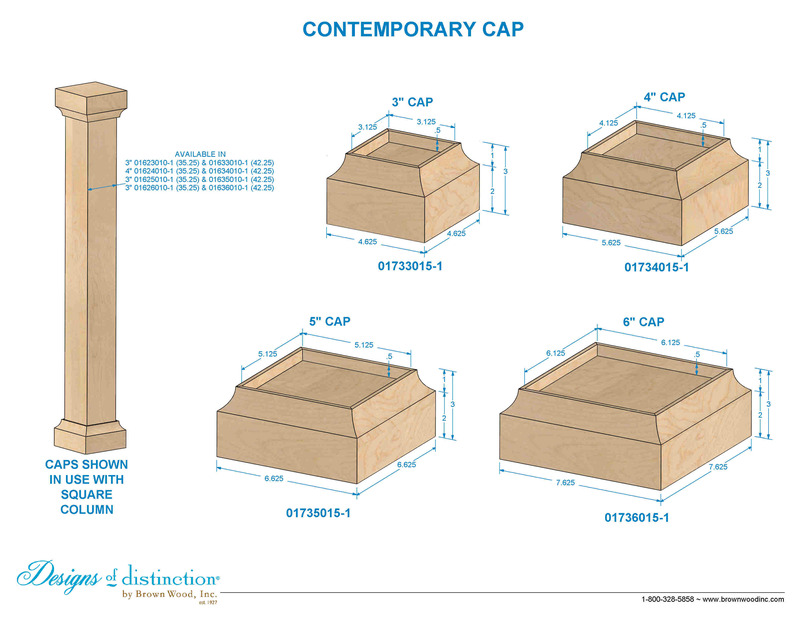 Place the Contemporary Column Cap above or below your square column for a sophisticated look and feel. Available in 3″, 4″, 5″ and 6″ sizes. Shop more of this look in the Urban Collection.